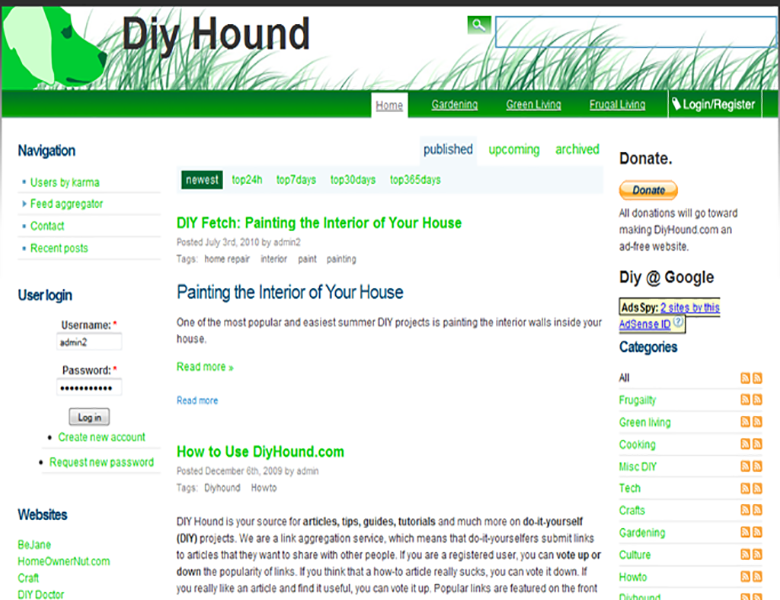 DIY Hound was a website developed by Bread & Roses as a project run by our company. The goal was a website that provided links to DIY articles on other websites that users could rate as to quality and usefulness. It was modeled after how Digg.com functioned 7-8 years ago and used a version of the Digg ranking software. We eventually killed the project because we didn't have time to put into it and it was becoming exploited by affiliate marketing scammers in the DIY sector.